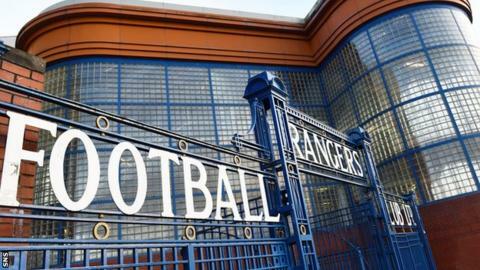 Rangers have withdrawn the rights of four shareholders to vote, collect a dividend or trade their stake. Formal requests for information about who ultimately owns the stakes in the company were sent to shareholders and four have so far not responded. Until ownership information is provided, the shares held by the four companies are essentially worthless. The four companies are Blue Pitch Holdings, Putney Holdings Limited, ATP Investments Limited and Norne Anstalt. The shares held by the four groups represent 10.4% of the company. Directors are trying to identify who owns the 4,000,000 shares held by Blue Pitch Holdings, the 700,000 held by Putney Holdings Ltd, the 2,600,000 held by ATP Investments Ltd and the 1,200,000 held by Norne Anstalt. Fan groups have regularly sought more information about the owners of the Blue Pitch shares and those of Margarita Holdings, who were among the original shareholders when Charles Green's consortium bought the business and assets of Rangers Football Club plc as it entered liquidation. Margarita Holdings are not listed in the company's shareholder register, but Blue Pitch and the other three groups failed to respond when the directors sent the request for ownership information under section 793 of the Companies Act 2006. It is a criminal offence to provide false information under the terms of the Act. The articles of association of Rangers International Football Club allow the directors, in the event of a default of section 793 notices, to withdraw voting rights, dividend payments and the ability to register share trades. All four shareholders have been informed for their default and the restrictions will remain in place until the necessary ownership information is provided. The RIFC board are not currently planning any imminent shareholder votes but are pursuing a listing on the ISDX market, having been delisted from the Alternative Investment Market in April.